that's an easy and healthy looking rice. very easy to prepare too. 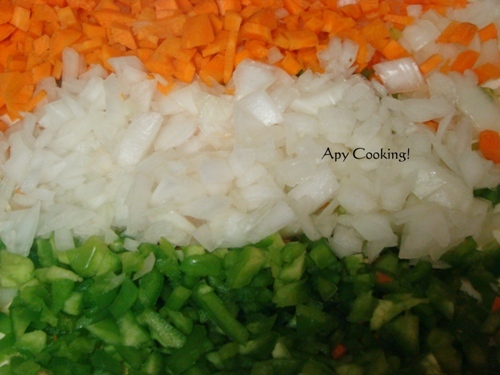 i love the Indian Flag colour that u made.. super. I wish that too Aparna. I sleep about 5 to 6 hours per day and then I run like crazy. This is a very easy and beautiful meal you made. Very nice...loved the granular texture of it..
Mouthwatering rice and colourful too...! I also find folding washed clothes so boring ...do it while watching Tv. :-) this rice preparation sounds quick way to enjoy healthy meal. 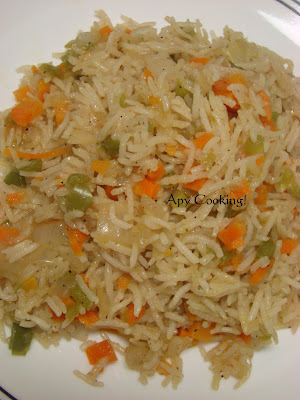 Thats an easy to make rice dish...looks lovely! Microwaved pepper rice looks delicious. Hi. I love quick preparations and I also hate folding clothes and normally fold it watching a program on TV or listening to songs. 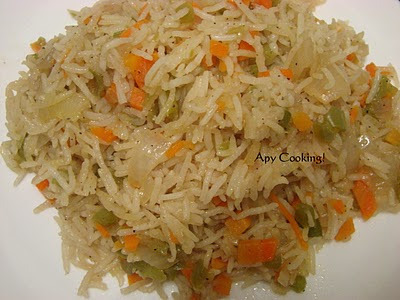 The rice looks simple and healthy, perfect quick meal. looks colorful and healthy! 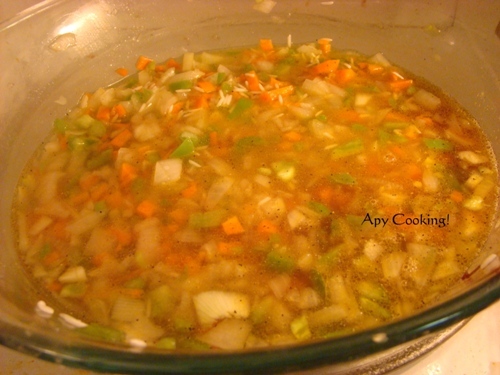 its amazing that you had the energy to post this recipe at 1 am after such a busy day! Kudos to you Apy! That is so like you. Absolutely no leaf is left unturned, especially in Apy's cooking world! Plus love the fact that you can change the recipe quite creatively to make it healthier. I will not be surprised when you come up with your own new cook book of zappable recipes after having mastered micro-wave cooking! You go girl! Hey Apu .....thats an easy and quick recipe. Aah.. yes your day does sound hectic! Your 1 am rice post still looks fabulous. I would have expected anyone to make big typos and 5 forgotten ingredients. :) Cheers! Hey pls do collect the best blogger award on my blog...thx for all ur support. 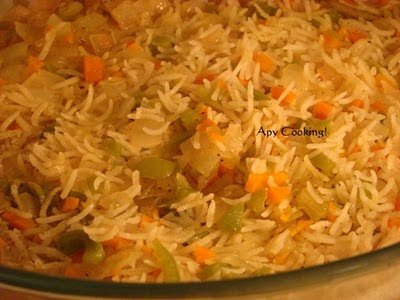 Looks corlorful, healhty and delicious carrot rice. This dish very new for me. I note the use of Soya sauce.I must try soon.